Hey everybody! I’m sorry to say that Storytime Friday will have to be delayed to Saturday. If your response to that is “But it’s Saturday right now” my answer is that it’s not yet Saturday in Alaska! Ha! Anyway, check in tomorrow, sorry for the delay. I had an idea for today’s post, but somewhere along the way I forgot it completely. Now the question is, what to talk about? And for how long? I honestly haven’t got a thought in my head right now. Nothing worth writing down, anyway. I have a couple of new story ideas I’m working on, but I’m going to try to get those published so I don’t really want to talk about them here. If they go through the ranks without getting published I’ll think about putting them up. Just so you know, it can be extremely frustrating to submit something to a publisher. They often don’t get back to you for weeks, yet each one states firmly that they don’t want you sending your story to multiple places at once. So I have to go down the line, one publisher at a time, until finally it’s either been rejected by all or (and the hope lives eternal that I might see this day) it’s accepted. Right now the story I’m sending through the loop has one rejection and has been locked up by the next guy for about two weeks now. Very frustrating. I have a set list and a set order that I haven’t had to break yet. Since all I’ve tried to publish so far is science fiction they’re all sci-fi publications. I start with Clarksworld because they’re the best I’m likely to get. They’re well known in the field for providing excellent sci-fi short stories, and they also pay the most per word (something to remember: if you want the best work then pay the most for it). Then I send it over to Daily Science Fiction because they pay the next highest. Finally I send it to Lightspeed Magazine because it pays the least. I don’t have any on the list after that. The way I figure if those three haven’t snapped it up then no one else is likely to. Soon enough I’ll send my next story down the pipeline to Clarksworld. I’ve got it written up already, I just need to read it again with fresh eyes before sending it off. 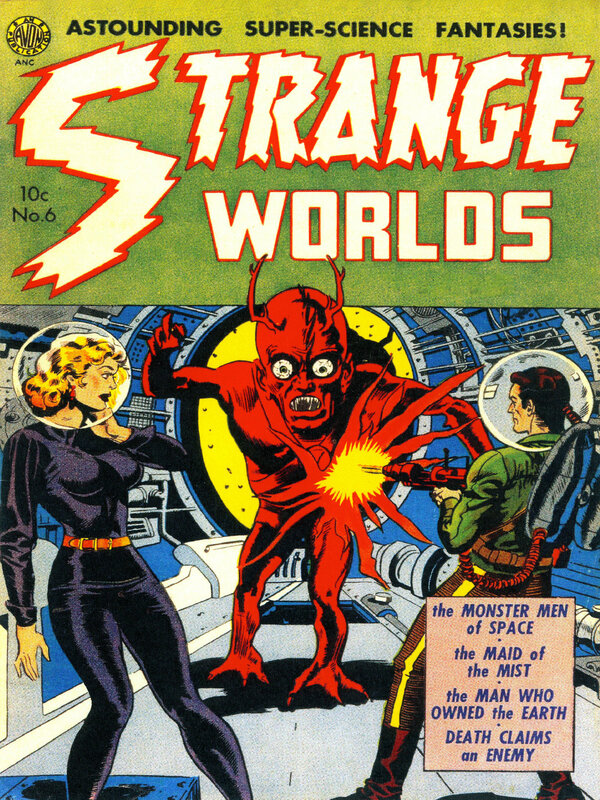 Hopefully by the time Clarksworld rejects it Daily Science Fiction will have dealt with my last story. They don’t want you sending multiple stories at once. So, that’s my little non-post for today. Hope it was mildly interesting, I’ll see you Friday for some more Storytime. Lately, as far as writing goes, I’ve felt like a failure. I want to be a writer, yet I haven’t gotten a single article published. So far out of three stories I’ve sent in to publishers I’ve had two rejected and one trapped in a “maybe” limbo that has been going on for almost a year now. So you can understand why I’m feeling a little down about the whole thing. I guess I don’t have what it takes yet. At my lowest points I start to think I never will. But then I started reading up on Isaac Asimov. Isaac Asimov is a literary hero of mine. It all started my freshman year of high school when a venerable old physics teacher inexplicably asked me to speak with me. My school had something called “SSR” which supposedly stood for “Silent Sustained Reading” but actually translated into “Do what you want as long as you don’t make any noise.” For 15 a day everyone was supposed to read a book. As a bookworm I appreciated being able to openly read during school hours (as opposed to my usual practice of hiding a book under my table during the middle of a lecture). I guess my teacher noticed that I read some sci-fi books. Or not. Honestly I don’t know what attracted his attention to me. All I knew was that he wanted to talk to me. He asked me what kind of books I liked to read. Being awkward and afraid of authority I mumbled something respectful and non-committal. He asked if I likes science fiction. When I told him yes, he opened up a rather large drawer under his lab bench. The drawer was filled with worn and somewhat yellowed paperbacks. He grabbed one, handed it to me, and said “Here, you can borrow this. I think you’ll like it.” Out of respect I accepted it, though I was annoyed. I’m one of those types who hates it when others tell me what books to read (even if they’re good books! I don’t know what it is, but if you want me to put off reading a book hand it to me and tell me I just have to read it. I’ll avoid it like a colonoscopy). Still, for some reason, I decided to read it. That book was Isaac Asimov’s Foundation, and it opened up new doors for me. I loved (and still loved) Foundation. I read the next two books in the trilogy and felt hungry for more. I checked out every book written by Asimov that I could find in the school library. I ate it up. I still love finding new Asimov stories I’ve never read before in an old bookstore or Goodwill (which are my usual places to look to buy books, considering my budget). Despite my love of Asimov I still haven’t read even half of what he wrote. That’s because he published an incredible amount of work. Despite my best efforts (read: ten minutes of Googling) I can’t find a definite number for the amount of short stories alone that Asimov wrote. I did find a fairly exhaustive list of his short stories, which you can find here. He published at least one short story a year (with the exception of 1963 and 1971), and typically published at least five or six from 1939 to 1991 (he died in 1992). And that’s just his short fiction. 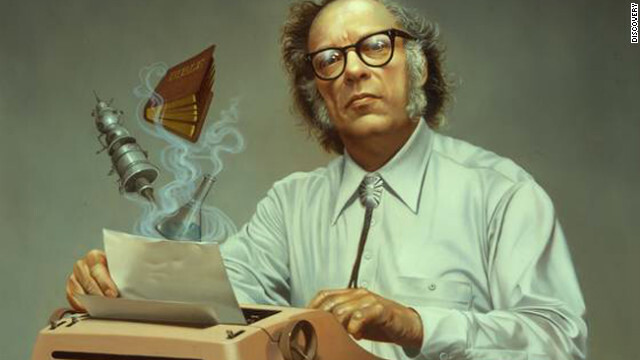 Asimov wrote hundreds of books, both fiction and non-fiction. The man was a master of consistently exceptionally writing. When I decided that I’d like to become a writer I wanted to be just like him. Still, I knew that Asimov was an exceptional talent. Once he went in to deliver one of his stories by hand, and an editor told him that they had an opening they needed to fill up. He sat down and wrote a short story right there on one of their typewriters in about a half hour. They bought it on the spot. He was incredible. So naturally I felt like a failure compared to him. None of my stories have been published. I can’t rattle off a (good) piece of fiction in only a half hour. I’m just not talented enough. But then I picked up a little anthology I found called The Early Asimov. It’s an anthology of some of his early and little known published work, and Asimov writes about what was going on in his life and his writing career at the time. It was there that I discovered that the first three short stories Asimov ever submitted to a publisher where rejected. Two more were rejected later that year, after his first success. This didn’t suddenly stop either; Asimov had works rejected regularly in his early career. There were several points where he says that another rejection might have caused him to give up on writing altogether. He had low points where he felt like he might as well give up on the whole writing thing. He certainly didn’t feel like a genius talent. And that’s because he wasn’t yet. We have a bad habit of putting too much emphasis on natural talent when it comes to attributing success. We say that someone succeeds because they were just naturally better at it. My experience is a little different though. I think Isaac Asimov became a stellar writer of sci-fi because he kept writing sci-fi. I think he reached the point where he could bang out a good story in a half hour because he had so much experience banging out stories before that. Every story he wrote (even the rejected ones) taught him a little more about writing. In the end, after writing such a massive volume of work, how could he be anything but great? He worked hard. He kept trying. In the end he became one of the greatest writers of science fiction of all time. I’m just starting out. I don’t think I’ll ever get close to the success of Isaac Asimov. But I do know that I can write. I can write a little better for every story I actually commit to paper. As long as I keep writing I will get somewhere. So what if my stories have all been rejected so far? So were Asimovs. Someday I’ll make a sale. And then I’ll get rejected some more until I make another one. I’ve been off here and there on the internet, as I’m wont to do. Lately I ran across a little mess that I had to poke my nose into. I ended up getting into a discussion with a certain atheist (I almost hesitate to call him that: not that he isn’t an atheist, but that his behavior is so regrettable that I don’t want to insult the many articulate, thoughtful, and reasonable atheists I know by putting him and them in the same category). To make a long story short the discussion came down to me asking him for evidence that naturalism is true. He responded with something along the lines of “300 years of scientific progress.” I kindly asked him to explain what he meant by that, and what exactly scientific progress had to do with philosophical naturalism, and he merely rattled off as many scientific fields as he could think of. “Biology, geology, chemistry, physics” etc. When I asked him, again, for a specific argument he merely replied with “e=mc2”. I never did get a straight answer out of him, but it reminded me of a passage from C.S. Lewis’s first published novel The Pilgrim’s Regress. The book is purely allegorical, following after the example of The Pilgrim’s Progress by describing the journey of a man named John from his home in the land of Puritania to the wild lands of various human philosophies, customs, and fads before finally returning home again. The particular passage I’m thinking of came soon after John left Puritania when he was picked up by a nice old fat man on a cart by the name of Mr. Enlightenment. John left Puritania in search of a beautiful island that he experienced visions of back home. All his life he’s been taught about the Landlord (who represents God) by Stewards (who are essentially pastors and priests). Mr. Enlightenment soon strikes up a conversation with John. ‘From Puritania, sir,’ said John. ‘And this is absolutely certain?’ cried John; for a great hope was rising in his heart. ‘Christopher Columbus, Galileo, the earth is round, invention of printing, gunpowder!’ exclaimed Mr. Enlightenment in such a loud voice that the pony shied. ‘I beg your pardon,’ said John. Mr. Enlightenment’s “answer” to John’s question was something so ridiculous I’d never imagined I’d find an actual human being making it. Rattling off a series of unrelated scientific achievements tells us nothing about the existence of God, or the veracity of philosophical naturalism. Yet here I found it thrown at me in an actual discussion. I want to attempt to describe a beautiful image to you. It’s an image that I’ve held on to for two years now. It came to me, almost fully formed, two years ago. I’ve been holding on to it ever since. I try to keep it in my mind as best I can. My next questions, of course, was how Lewis went from Animal-Land to Narnia: how did he capture that sense of wonder? 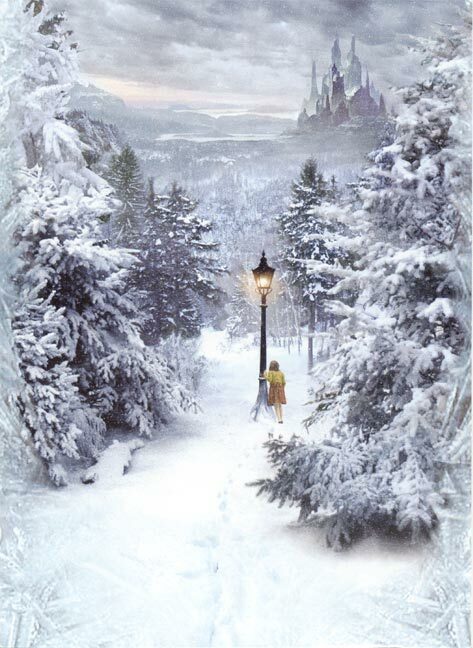 Then I read that Lewis first came up with Narnia, not as a civilization or an interesting idea, when the image came to him one day of a lamppost in a snowy woods, and a faun walking by. The image came first. Everything else followed. This, I thought to myself, is what I’m missing. This, perhaps, is where soul comes from. The problem is that I could find no way to force images to come to me. I still can’t. The element I believed was missing was something I couldn’t create with hard work. The description does the image a great disservice. It does not capture it, not by a half. That’s the trouble. The image is more than just a collection of objects, colors, and shapes. It’s a living thing in my mind. Concepts and visuals intertwined into more than I can adequately express. When I read the description I just wrote I feel embarrassed. It’s just not right! It’s as close as I can come right now, but it’s so far from what I see. Still, I wanted to share it with you today. I’m going to hang on to this image. Someday I will find a story I can attempt to place it in. Someday, perhaps, I’ll be able to share with others what I see. But perhaps not. I’ll leave you with one last Lewis quote. I didn’t understand it when I first read it. But I understand it now, and I know that even he struggled mightily to share what was really in his mind. This excerpt is from a letter he wrote to a girl who wanted his advice on a piece of her writing. That’s the problem with my description. I can try to express the images: but the images are only settings for the thing itself. As I mentioned last week, my blog’s one year anniversary was last Thursday. When I started the blog I had no idea what the blog was going to be about. I only had one goal: to write three posts a week for the purpose of improving my writing ability. Now obviously I did not succeed at that. But I did give it my best shot. The question is, how well did I do overall? If this was a test would I get a D or a B-? There are 52 weeks in a year. Simple math tells us that means a total target number of 156 posts. However, it’s not that simple. There were also two weeks where I announced that I would be unable to post at all due to inescapable life events, one week where I could only post once due to sickness, and a period of seven weeks where I changed the update schedule to twice a week. Putting all that into account, the target number becomes 141 posts. To date I have posted 88 times. A little time and a little help from the calculator tells me that my “grade” for the year is 62.4%. A D-. Huh. That was worse than I thought. On the other hand, I didn’t get an F. And those 88 posts are 88 more than I started with. So, out with the old and in with the new! Let’s see if I can beat a D- this year.